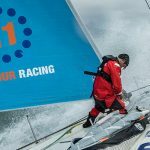 Vestas 11th Hour Racing has issued the team’s Sustainability Report, detailing the efforts throughout the one-year campaign that made them the most sustainable team to ever compete in the Volvo Ocean Race. 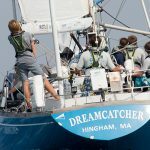 The 33-page report dives deeply into their strategy and plan, giving insights into how they tracked and offset their carbon footprint while offering practical ideas and tools to inspire other sailors, teams, and event organizers. “In the face of incredible adversity throughout their year-long journey, Vestas 11th Hour Racing set the bar for other Volvo Ocean Race teams to follow: competitive on the water, leading the way along the path of sustainability and leaving each host city a little better than when they arrived. 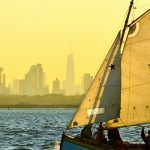 Charlie, Mark and the rest of the team developed and implemented several tools which are being adopted by their peers and other sailors around the world. Building off of this partnership together, we are creating a network of educated sports fans around the world who bring their local solutions to global challenges facing the health of our waters.” – Jeremy Pochman, Co-Founder and Strategic Director, 11th Hour Racing. 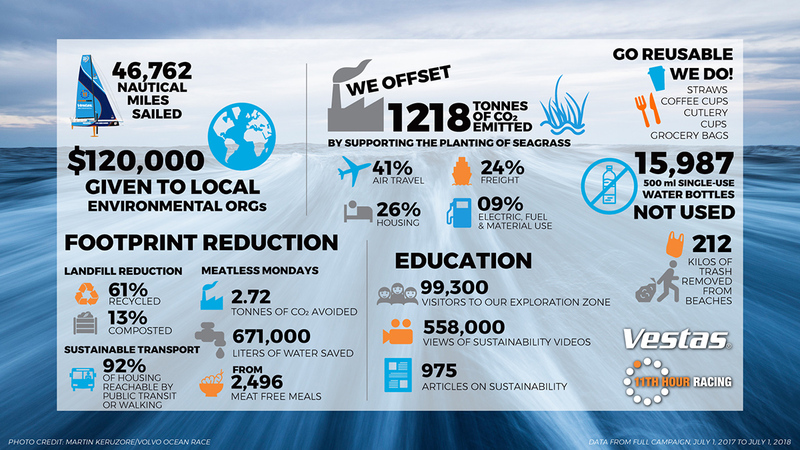 Thorough tracking and reporting of the team’s carbon footprint, which was compensated for with a blue carbon program that restores ocean health. 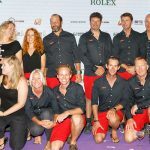 A full understanding of the team’s waste footprint including the rig lost at sea during the Southern Ocean dismasting, and trash removed by the team at beach cleanups worldwide. 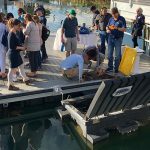 The benefits of using a Life Cycle Assessment tool to understand the environmental impact of boat repairs. The analysis of the team’s onshore water footprint, tracking usage at the dock, the team base, and team workshop. Developing a legacy project with co-title partner 11th Hour Racing, by establishing relationships with grantees around the world and promoting their efforts to restore ocean health. 11th Hour Racing awarded a $10,000 grant to each nonprofit to support their mission. 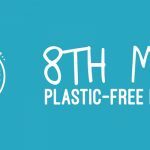 Connecting fans with solutions used by the team to reduce their waste footprint through outreach and education via media relations, social media and in person. Over 99,000 people visited the team’s interactive Exploration Zone at race stopovers learning about renewable energy, ocean science, and circular economy initiatives. The outreach program was leveraged by a concerted communications effort generating over 313 million media impressions that focused on the team’s environmental efforts. 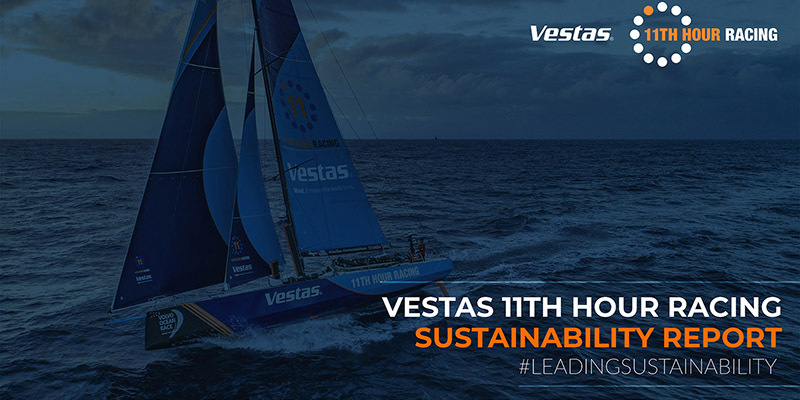 To view the full Vestas 11th Hour Racing Sustainability Report, please click here. 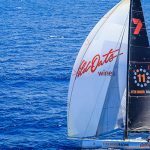 If you have questions or are interested in speaking with one of the sailors about the efforts of the team, please use the media contacts below.